Learning how to live a gluten-free lifestyle comes with many challenges. But doing so when you have a super busy schedule feels nearly impossible. 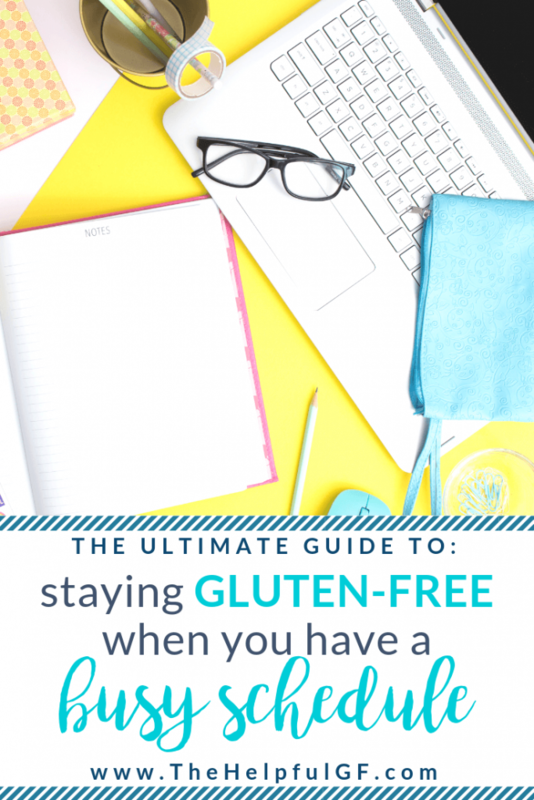 When you’re already juggling a lot, follow these 6 simple tips and see how to live a gluten-free lifestyle with ease! 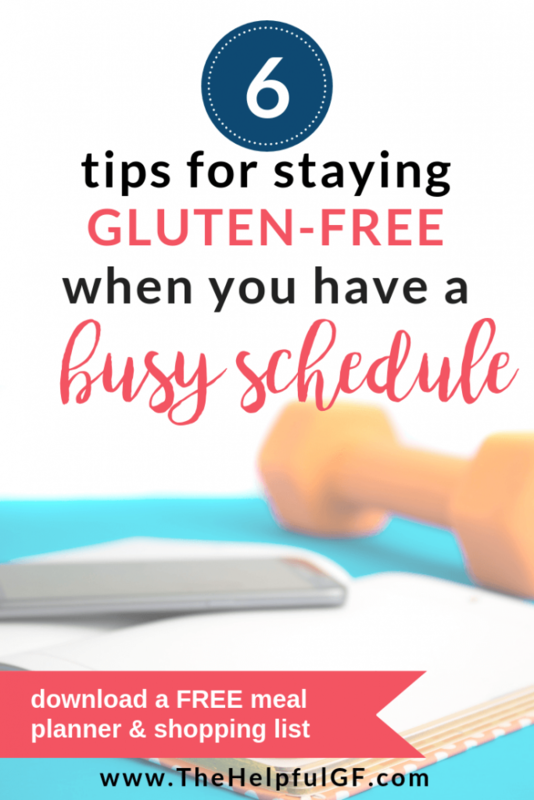 I know that meal planning feels like work—but honestly, meal planning is the key for how to live a gluten-free lifestyle! When you’re juggling multiple responsibilities, you need a plan. Nothing increases my stress more than coming home after a busy day, with a list of things that still must be done and NO dinner plans. There are a lot of different ways to meal plan! I like to plan two weeks of meals at a time, make my shopping list, and do my shopping for those two weeks all at once. My sister-in-law does her meal plans a whole month at a time and aims to do about 2 grocery hauls a month. I have a friend who literally has the same meal plan each week for Monday-Friday and then changes it up and tries new things on the weekends. What kind of plan you have is not important—but what is important is that you have a plan. When you do your meal plan and make your shopping list—be sure to get some grab-and-go snacks for when you really don’t have time to cook! In my family this looks like keeping bars, veggie straws, and fruit in stock for those mornings you wake up too late to eat breakfast or times you need to run out the door. This is one of my top tips for how to live a gluten-free lifestyle. You’ll see it repeated in multiple posts throughout my blog! For more grab & go gluten-free snack ideas, check out this article! Ok, so I know the name of this tip is ridiculous, but if you’re wondering how to live a gluten-free lifestyle when you just.can’t.even. this tip is for you. A “sweatpants” recipe is a recipe you can prepare on autopilot. You know, something you can put on the table for dinner when you’re so ravenous you want to cry, or toddlers are pulling on you and SCREAMING. Have two of these recipes in mind—and keep the items for the recipe stocked and ready at home! Honestly, learning how to live a gluten-free lifestyle is so much easier when you have a few go-to recipes you can just whip out at a moment’s notice. 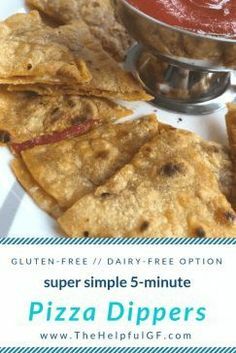 We have a couple go-to sweatpants recipes: my 5 ingredients pizza quesadillas recipe, gluten-free noodles with sauce, and scrambled eggs. We also keep gluten-free soup in the pantry for real emergencies! Make a Crockpot and/or Instapot your BFF! Crock-Pots are NOT just for making soup. You can make pasta, dessert, applesauce and much more. Honestly, I use my Crock-Pot at least twice a week. It’s the best for simple and easy meals at home. I love it because before I leave for work I can just dump my food in it, turn it on, and when I come home starving—dinner’s done and ready to eat. Some Crock-Pots even have timers—so even if you arrive home later than planned, it’ll switch to warm mode automatically. InstaPots are great too, because if you’re too busy to prep your food in the morning, you can prepare dinner quickly in the evening. Most models even have a slow cooking option. An InstaPot is almost like an all-in-one appliance than you can use to make anything. The other advantages? It makes a giant pot of food, so it’s great for leftovers. And clean up is easy too. Most inserts are dishwasher safe, and for even easier clean up you can purchase these Crock-Pot liners! No stuck-on soup residue anymore. Who says you need to cook on the day you eat?? I love making food ahead of time to eat throughout the week. Make a large egg casserole and cook once but have breakfast pre-made for 3 days! You can also prep your lunches for a week in individual containers. 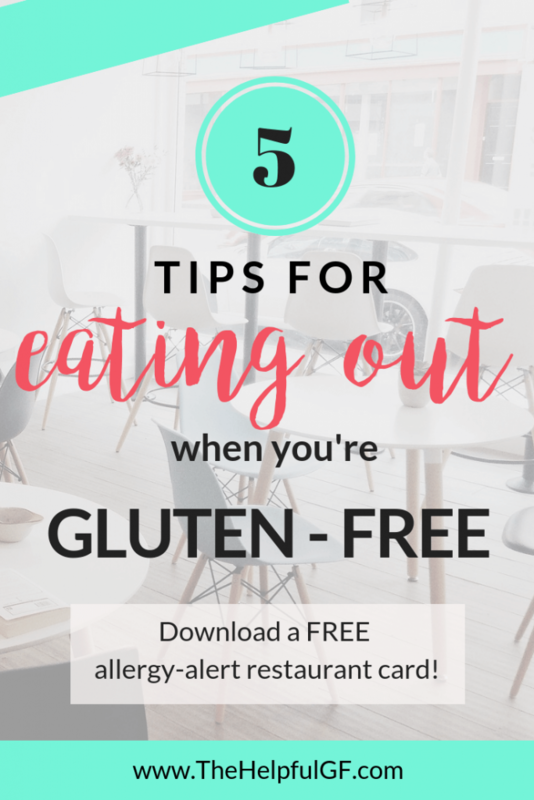 See some of my gluten-free lunch suggestions here! Bonus tip for how to live a gluten-free lifestyle when you’re super busy: When getting a meal together for the Crock-Pot or marinating meat for the oven, make an extra! Then put it in a freezer bag. This way on SUPER crazy weeks, you can just take the prepped meal out of the freezer, thaw it in the fridge overnight, and dump it in your Crock-Pot that morning on low OR it’s ready to toss into the oven. 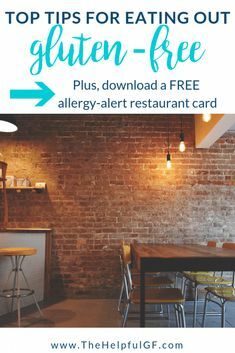 So, you saw this amazing gluten-free recipe on Pinterest with only 15 steps and the picture looks JUST like that thing you used to order at that restaurant back when you ate gluten….. go ahead and pin it! But save it for a time when you are not under time constraints. 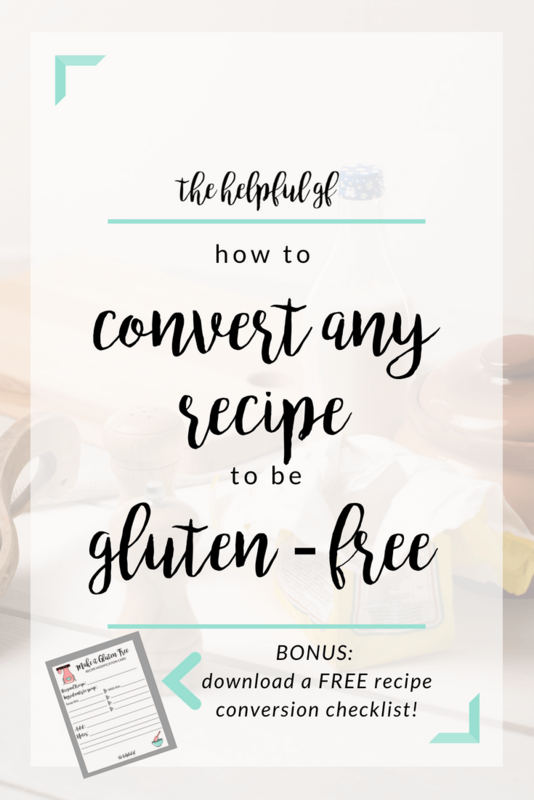 One of the quickest ways to become discouraged when you’re first learning how to live a gluten-free lifestyle is becoming overwhelmed with all these new ideas and recipes. Listen—I love trying out new, fun recipes (this is why I review cookbooks for you all! See my cookbook reviews here). But when you have a crazy busy schedule, you just cannot do this every day. I save fun new recipes for Saturdays at lunch time. This is when we are usually at home and aren’t constrained by long to-do lists or scheduling. Maybe your extra time is a Tuesday evening. Build it into your meal plan! 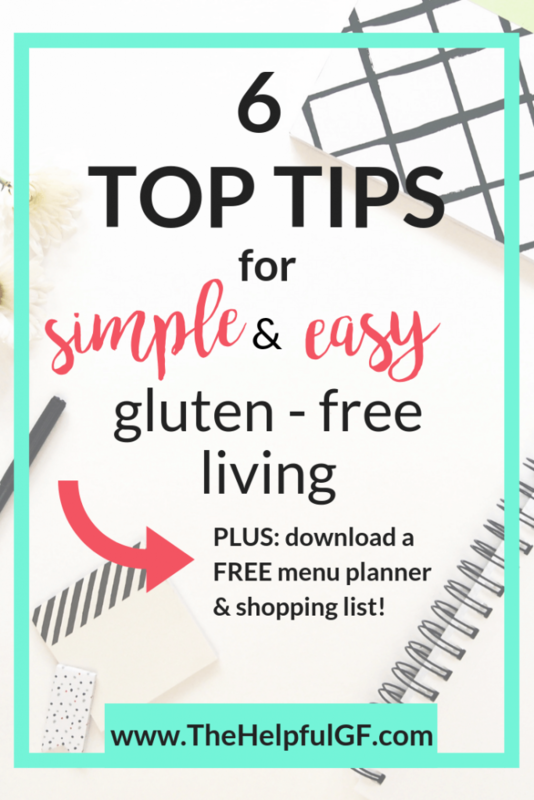 Get FREE instant access to a downloadable weekly menu planner & shopping list designed to make your gluten-free lifestyle totally easy! Experimenting with new recipes keeps things fun—but don’t let it add to your daily stress. Keep it simple in the day to day! 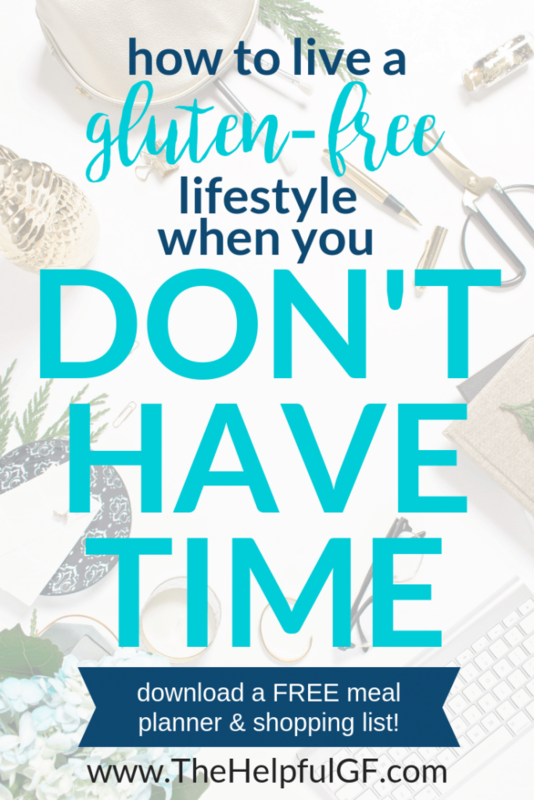 Do you have any tips on how to live a gluten-free lifestyle when you’re crazy busy and don’t have time? Comment below and share them with us. Did you like these tips? Share this post with your friends and pin it for later! 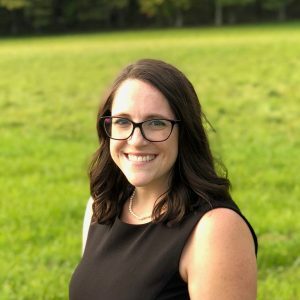 When I first married my husband Tyler, who has Celiac, in 2012, I don’t think I realized how different my day to day cooking was going to change. Although I knew the logistics of gluten-free cooking (hello cross-contamination and food labeling) and was comfortable in the kitchen, I also loved the comfort foods I grew up with. And they were not naturally gluten-free. The thought of “relearning how to cook” was so overwhelming! 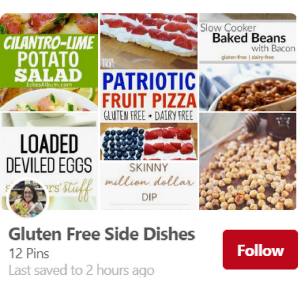 As I searched gluten-free recipes in cookbooks and on Pinterest I suddenly I had a realization. I don’t need to reinvent the wheel—I can make any recipe gluten-free by just modifying the ingredients! What started out as a super daunting process quickly became simple as I learned what ingredients work where! While the recipe may not taste exactly the same when finished, you may even discover that the recipe may even taste better! 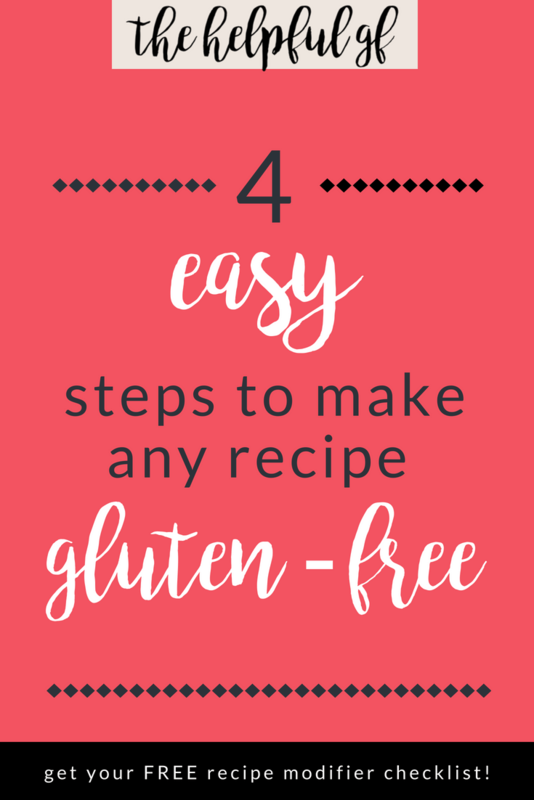 Keep on reading for 4 simple steps to make any recipe gluten-free, PLUS a free printable checklist to use when analyzing your favorite recipes! The first step to make any recipe gluten-free is to identify the ingredients that contain gluten. Beyond looking for the specific ingredients of wheat, barley, and rye, look in your recipe for the ingredients on this list as they likely contain gluten. While the ingredients on following marked with an asterisk* list do not always contain gluten, they often do—so check labels carefully! Beginner tip: start with recipes that only need 1-2 minor ingredient swaps! For most recipes, you can find an EXTREMELY similar (if not identical) substitution. Just make sure you read labels to be sure that your ingredients are gluten-free. If it’s not a whole food ingredient, I like to look for products labeled “certified gluten-free.” Below are common substitutes when trying to make any recipe gluten-free. Learn more about gluten-free certification and labeling in this post! pasta: there are SO many kinds of gluten-free pastas, but it may take some experimenting to find one that you love. 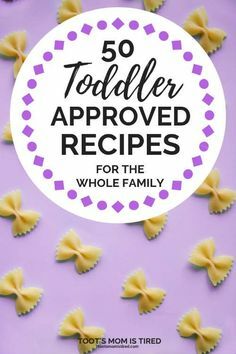 My personal favorites are gluten-free pastas with a combination of ingredients (corn, rice, quinoa) such as Barilla and Aldi’s. I also prefer shorter pasta shapes (such as penne or macaroni) over long strands like spaghetti or fettuccine. In my personal experience, the long strands tend to stick together really terribly and I have a difficult time getting it to cook evenly. condiments: Worchester sauce, soy sauce, vegetable oil, and other condiments may contain gluten! These are super easy swaps—just make sure to read labels and ONLY purchase gluten-free versions. special note about soy sauce: there have been cases over the past few years of companies & restaurants getting into trouble with the FDA for incorrect labeling of soy sauce. To keep it safe, look for Tamari or Soy/Coconut Aminos clearly labeled gluten-free. bread crumbs: Probably the yummiest solution is to make your own from your favorite gluten-free bread, however there are countless other gluten-free substitutions for bread crumbs! Some stores sell gluten-free bread crumbs. One option is to grind gluten-free cereal, gluten-free crackers, or gluten-free chips in a food processor until desired consistency. Sometimes you can even sub grated Parmesan cheese or a coarser ground almond flour. It really depends on the recipe and the desired outcome. flour: If your recipe calls for flour for dredging, I recommend using a basic gluten-free all-purpose flour. If it calls for flour for thickening (i.e. gravy or a roux) you can sub corn starch or arrowroot powder. I buy a lot of my gluten-free specialty ingredients from Thrive Market. Click here to read my post about Thrive Market PLUS get a free trial month and 25% off your first order. In addition to the above 2 tips, baking requires its own bonus section. Baking really is a science, and mastering gluten-free baking is like graduating with a PhD. If new to gluten-free cooking (or if you just aren’t that adventurous—like me) I HIGHLY recommend that you stick with gluten-free box mixes for baking. These companies have experimented, taste tested, and mixed flours like crazy to get them to come out right. I’ve even tried a bunch out and written reviews throughout my blog. If you’re curious about gluten-free cake mixes, you can read my cake mix reviews here. 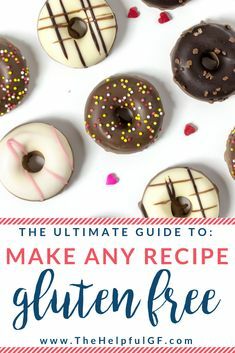 But if you just have a sweet spot for baking from scratch or have some amazing family recipes you just can’t spend the rest of your life without, here are my special tips for how you can make any recipe gluten-free when baking. Choose the right flour (or flour blend). Not all gluten-free flours are equal—nor do they behave like regular all-purpose or wheat flour when baking. Mimicking an all-purpose flour requires mixing all kinds of different flours together to make any recipe gluten-free. The best recipe for all-purpose gluten-free flour I’ve tried is the on in the How Can it Be Gluten-Free Cookbook by America’s Test Kitchen. However, mixing your own flour blend is time consuming, not to mention being fairly expensive up front due to buying such a wide variety of specialty flours. Therefore, I recommend beginning with a good quality all-purpose cup-for-cup gluten-free flour blend like King Arthur. Measure by weight instead of volume. Instead of measuring your gluten-free all-purpose flour in a measuring cup, weight it on a food scale for more precise baking. One cup of all-purpose flour equals approximately 125 grams. Add additional ingredients to improve the texture. Even when using a premixed gluten-free all-purpose flour, you might still need to add special ingredients to get the composition of the batter or dough correct. Try adding a tsp of xanthan gum to thicken or help the dough hold together. Add an egg to help ingredients bind if it seems too dry. Is the mix too wet? Add some more flour. Is it super sticky? That’s probably normal—haha! Tip for working with super sticky dough—if it’s too sticky to work with you have a few options: a. wet your hands before mixing or patting down (this will keep the dough from sticking to your hands), b. spray plastic wrap with a gluten-free cooking spray and work with the dough underneath the plastic wrap (this is great if you’re working with pizza crust), or c. refrigerate the dough! Let the batter sit for 15-30 minutes BEFORE putting it in the oven. GF flours are often coarse, letting it sit allows the flours to absorb the wet ingredients which will help eliminate grittiness. Make sure you write down what you tried for a substitution and review the finished product. Analyzing the recipe right after you eat it is a great way to keep experimenting. For example, did you like gluten-free cornflakes for breading on chicken? Why or why not? If it was too crunchy, maybe you need to grind into finer crumbs. If it was too sweet, next time try kettle chips or tortilla chips. Reviewing what worked, and what didn’t, will set you up for greater success modifying recipes in the future. Download and print the free template below to record your modifications and your review, then store it with your recipe for the next time! Are you ready to do gluten-free living totally STRESS-FREE? 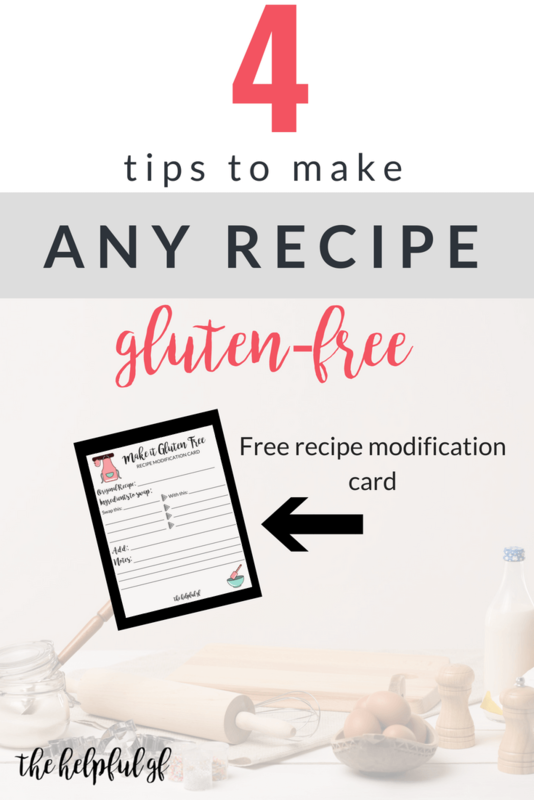 Download the free template for modifying any recipe to be gluten-free, PLUS get FREE instant access to my online library designed to make your gluten-free lifestyle totally easy! 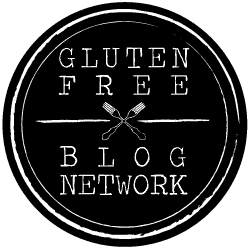 Do you have any tips on how to make any recipe gluten-free? Share them in the comments below! 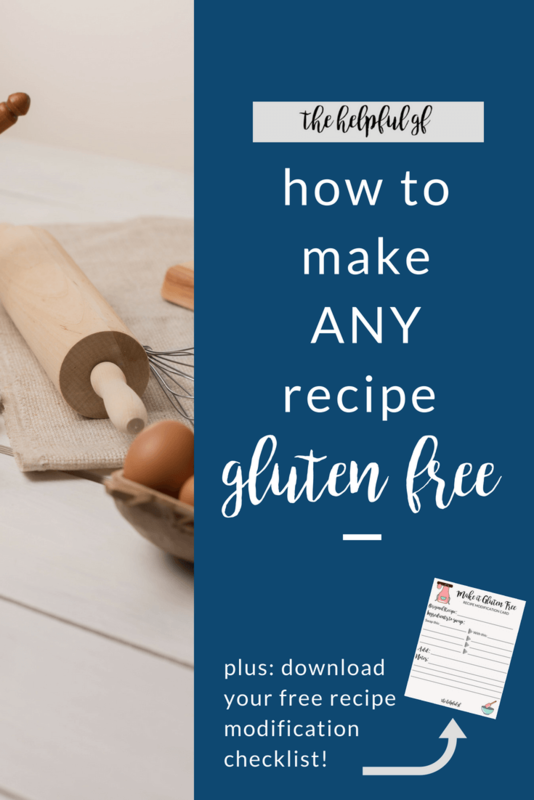 PS–If you enjoyed this post on How to make any recipe gluten-free, share it with your friends on social media and pin it for later! Summer’s here, and that means cookouts (or BBQs everywhere). From patriotic celebrations to graduation parties and just getting together with friends, you’re sure to be invited to one somewhere. 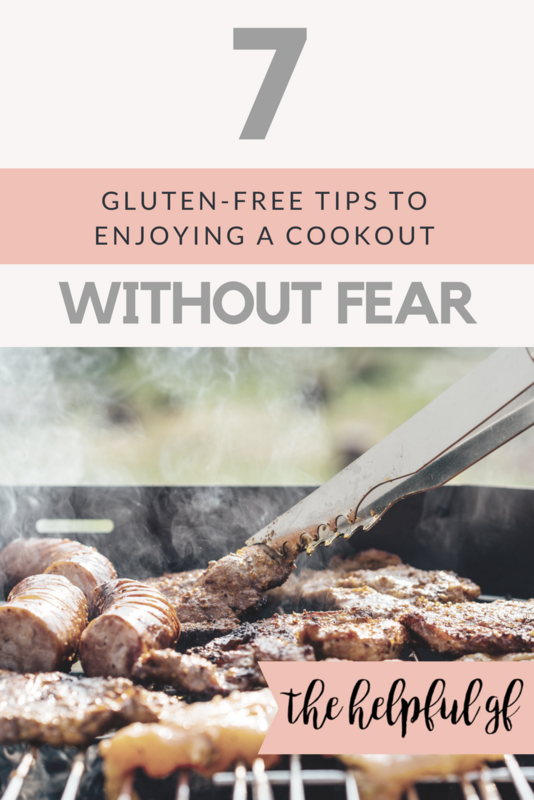 So, here are my 7 tips for how to not just survive but enjoy a gluten-free cookout (without fear)! Tip 1: Host Your own Cookout! This option gives you the assurance you will be able to eat safely! Now you’re the one in control of the grill and other main elements of the meal. 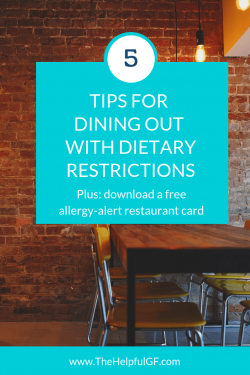 You can also set up a separate table for dishes containing gluten to help avoid cross-contamination. Plus, as an added bonus, some of your guests will ask you what they should bring. You can give them specific ideas of gluten-free goodies! Now, onto the tips for attending someone else’s cookout. Grills can be a risky cooking surface for cross-contamination due to their rough surface. We used to ask our family and friends to put foil on the grill as an extra layer of protection, but then we discovered grill mats! They are awesome and can help keep your fear at bay. note: don’t be afraid to ask the host ahead of time what meat will be prepared. Ask for specific brands of hot dogs or marinades. If it isn’t gluten-free, the host may be happy to set aside non-marinated meat for you to grill on our mat. Plus, you can also bring your own hot dogs or burgers! Whenever we attend a cookout we always bring gluten-free buns. Our favorite brand is Udi’s, but there are others. Even Walmart and Aldi have their own store brands. If you don’t have any (or can’t find any), don’t fear! Hamburgers and hot dogs taste fine just layered with toppings or on a lettuce wrap too. Bringing a dish (or two) to share ensures that there’s an option you already know you like. Plus, it’s a great way to introduce your friends to gluten-free food. 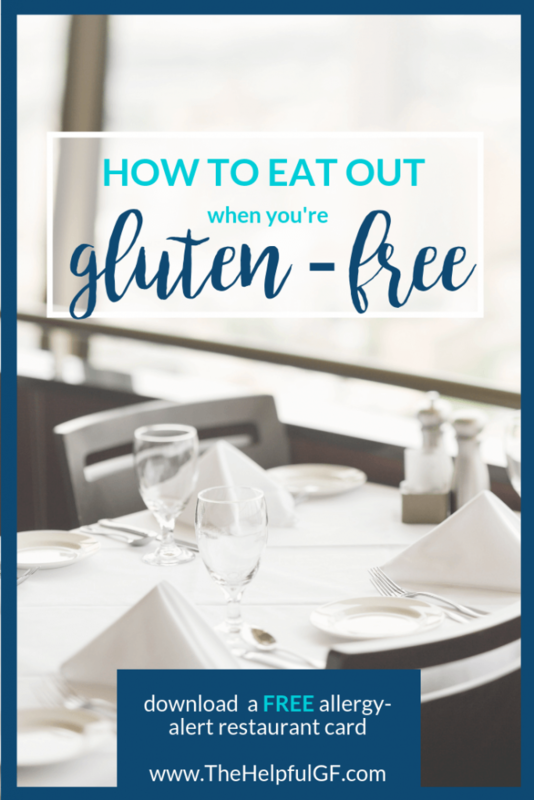 Once your friends or family are more familiar with gluten-free food, they are more likely to try and accommodate in the future. Long term goals! If you need ideas on what to bring, follow me on Pinterest! I have a board full of recipes for yummy, gluten-free side dishes that are perfect for a summer cookout. Click this image to see my pins and Follow me on Pinterest so you don’t miss any new pins! The more people going through the line, the more likely it is that gluten-free food becomes contaminated due to the switching of spoons and dropping of crumbs. Going first alleviates this concern. Yes, I know that it’s polite to let women, the elderly, people with kids, etc. go through the line first. And you don’t want to be rude, right? If this is a concern for you, talk to the host ahead of time and explain your need. Tip 6: Ask or Pass! When scoping out the feast, look for safe, gluten-free options. First, look for things that are obviously gluten-free. At a cookout it’s typical to find gluten-free favorites like watermelon, baked potatoes, corn on the cob, veggie trays, and potato or tortilla chips labeled “gluten-free.” Click here to learn more about gluten-free labeling and certification. There are many other common dishes that are probably safe, but you should always either ask the person who prepared it what is in it to ensure it’s safe for you to eat. For example, potato salad is likely gluten-free, but did they use mayonnaise that may have been cross-contaminated with crumbs due to sandwich making? Baked beans are probably fine, but do they contain Worcestershire or BBQ sauce? And if so, were they gluten-free brands like Lea & Perrins? If unsure, pass and make a different choice. Tip 7: Eat before you Go! So, I know it’s not the most fun tip, but it’s an important reminder. Whenever you are in doubt of what options there will be, eat before you go. While it isn’t as much fun, you won’t get sick and you won’t be hungry! This not only applies to navigating a cookout but other social events surrounding food. Do you have any other tips to share for navigating a cookout without fear? Share them in the comments! 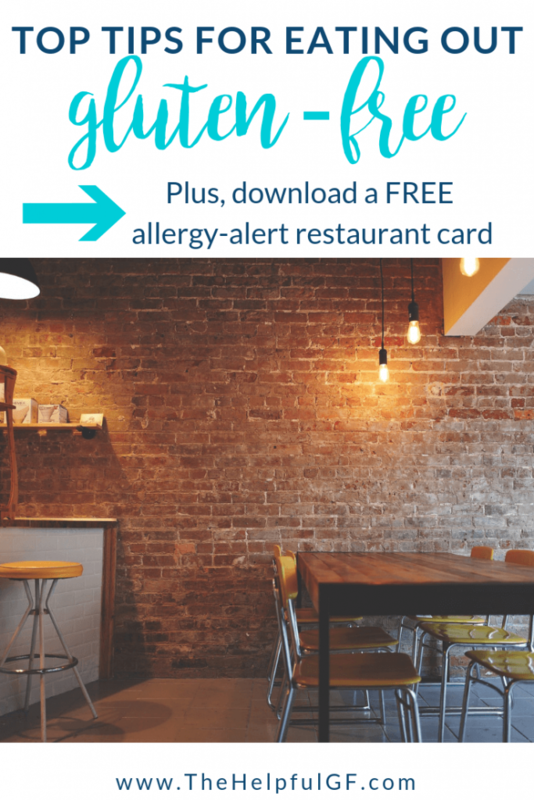 Also, don’t forget to download our allergy alert card for gluten-free dining and get FREE instant access to my online library of free printables! They’re designed to make your gluten-free lifestyle TOTALLY easy!